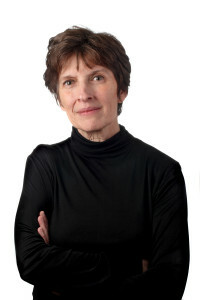 Amy-Jill Levine, who teaches New Testament and Jewish studies at Vanderbilt, is the author of The Misunderstood Jew: The Church and the Scandal of the Jewish Jesus and coeditor of The Jewish Annotated New Testament. She has also written (with Sandy Eisenberg Sasso) several children’s books, including Who Counts? 100 Sheep, 10 Coins, and 2 Sons. She is a member of an Orthodox synagogue and speaks frequently in Christian congregations. Her most recent book is Entering the Passion of Jesus: A Beginner’s Guide to Holy Week, designed for use in group discussions. I also have very much worried about the anti-Jewish views that frequently surface in studies about Jesus. A number of Christian commentators feel the need to make Judaism look bad in order to make Jesus look good. Instead of portraying Jesus as a Jew talking to other Jews, he becomes in their views the first Christian, the one who invented divine grace, mercy, and love, and all that other good stuff. Such views neglect the presence of these same virtues within Jesus’ own Jewish context. There should be no reason this Jewish Jesus is used to promote anti-Judaism. Continue reading “Knowing and preaching the Jewish Jesus” here at Christian Century. Janie Cheaney has authored seven novels for young adults and offers wisdom and guidance for aspiring authors. 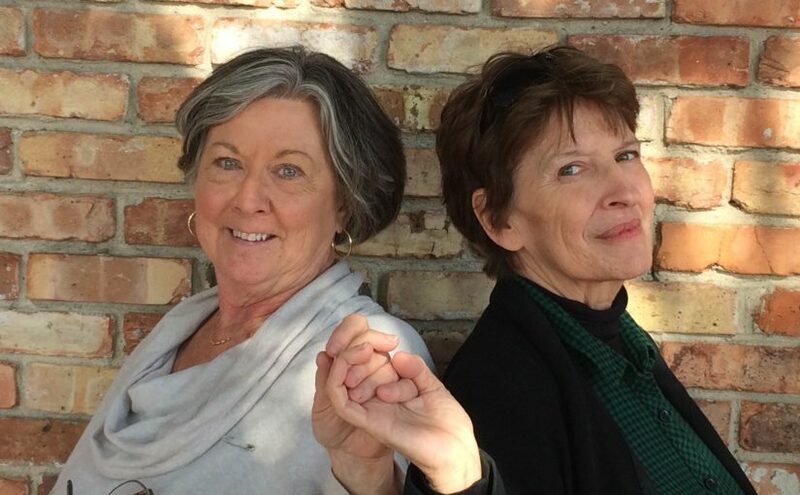 Janie and Charlotte were best friends in college and continue to discuss and debate religion, politics and culture from their various locations across the Right to Left spectrum. Here is Janie’s 2017 series of blogs on Creation and Creativity. Each is lovely and lively – another way to ponder creation, its meaning and significance. Enjoy! Creation Day Two: In Which Not Much Happens? Janie also created a get-to-know-the-big-picture-of-the-Bible effort (Bible Challenge) that is somewhat similar to Charlotte’s Living in The Story. Janie’s approach offers the high points of The Story in weekly readings, while Charlotte’s approach offers a way to read the entire Bible in a year. Interestingly, Janie and Charlotte were developing these two different reading plans about the same time. Follow the link below to find the weekly posts. Janie and Charlotte have also considered numerous current social and political issues in a shared blog. Find those back and forth discussions at Charlotte’s Intersections: Faith Culture Politics website. Peter Enns (part 1) on how to understand the violent stories in the Bible. 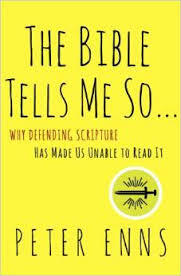 Peter Enns (part 2) on how to interpret troubling passages in the Bible. 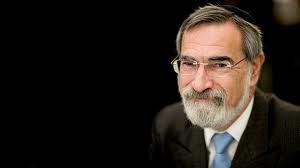 An excellent essay by Rabbi Jonathan Sacks from 2008: seeing The Story from a Jewish perspective. Life itself is always three steps forward and two steps backward. We get the point and then we lose or doubt it. In that, the biblical text mirrors our own human consciousness and journey. Our job is to see where the three steps forward texts are heading (invariably toward mercy, simplicity, inclusion, nonviolence, and trust) and to spot the two steps backward texts (which are usually about vengeance, exclusion, a rather petty and insecure god, law over grace, incidentals over substance, and technique over actual relationship). The Bible is an anthology of many books. It is a record of people’s experience of God’s self-revelation. It is an account of our very human experience of the divine intrusion into history. The book did not fall from heaven in a pretty package. It was written by people trying to listen for and to God. I believe that the Spirit was guiding the listening and writing process. We must also know that humans always see “through a glass darkly . . . and all knowledge is imperfect” (1 Corinthians 13:12). Prayer and patience surrounding such human words will keep us humble and searching for the true Living Word, which is exactly how the Spirit always teaches (1 Corinthians 2:10,13). Adapted from Richard Rohr, Things Hidden: Scripture as Spirituality (Franciscan Media: 2008), 12-13; and Richard Rohr and Joseph Martos, The Great Themes of Scripture: Old Testament, (Franciscan Media: 1988), 1. Richard Rohr’s meditations for 2016 invite us to discover, experience, and participate in the foundation of our existence–Love. Throughout the year, Fr. Richard’s meditations follow the thread of Love through many of his classic teachings in 1-2 week segments. Read previous meditations and view a video introduction at cac.org/category/daily-meditations/. This pamphlet, by the Rev. Walter Wink, may be ordered in print online from the Fellowship of Reconciliation for just $1.75 per copy — and even less in bulk amounts. Sexual issues are tearing our churches apart today as never before. The issue of homosexuality threatens to fracture whole denominations, as the issue of slavery did one hundred and fifty years ago. We naturally turn to the Bible for guidance, and find ourselves mired in interpretative quicksand. Is the Bible able to speak to our confusion on this issue? The debate over homosexuality is a remarkable opportunity, because it raises in an especially acute way how we interpret the Bible, not in this case only, but in numerous others as well. 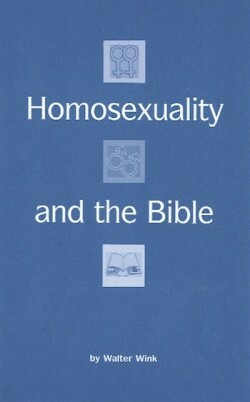 The real issue here, then, is not simply homosexuality, but how Scripture informs our lives today…. 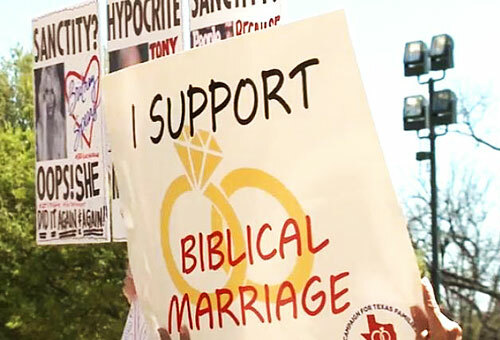 Reports indicate that other supporters have also appealed to the Bible. Marriage, however, takes various forms in the Bible. The Bible does not offer a “one-size-fits-all,” single version of marriage. In fact, marriages in the Bible often differ significantly from contemporary understandings of male-female marriages……. The Old Testament scholar says the “military consumerist mentality” is on of the most pressing problems faces churches today. One day I was eating lunch with a Jewish classmate who grew up in Israel. We were both in our first year, and somehow the topic turned to the story of Adam and Eve.